Are you stumped when it comes to multiplying fractions by whole numbers? The problem does look a little odd at first, but in one easy step you can set this up as a simple "multiplying fractions" problem. 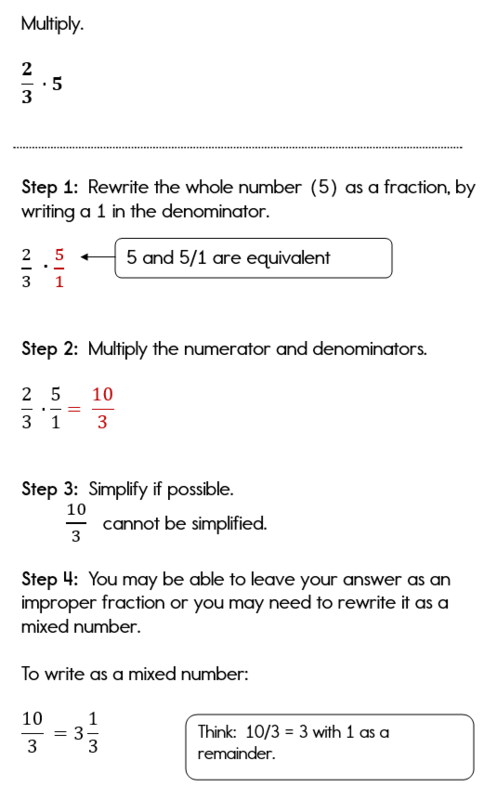 If you are not sure how to multiply proper fractions, then you might want to start with Lesson 13 on how to multiply fractions. Now, let's take a look at a problem where we are asked to multiply a whole by a proper fraction. In this problem, we will multiply 2/3 by the whole number 5. That wasn't too bad once you converted the whole number 5 to a fraction. Next, we will look at an example where we will multiply a whole number by two fractions. The process is exactly the same. We will first change the whole number 6 to a proper fraction and then multiply. Since this example can get messy with so many numbers, I am also going to simplify within the problem first, so that I don't have to simplify larger numbers at the end of the problem. Still don't understand? Take a look at this example on the video below, and I will explain the process step-by-step. 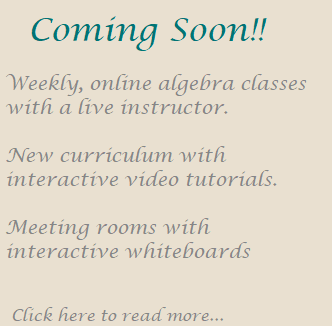 I hope that you are now more comfortable with multiplying fractions by whole numbers. 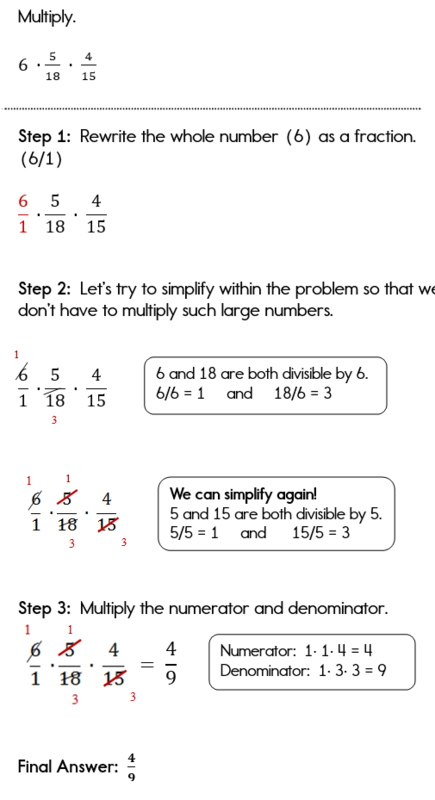 The next lesson in this fraction series is on Multiplying Mixed Numbers. Need Help Checking Your Answers? 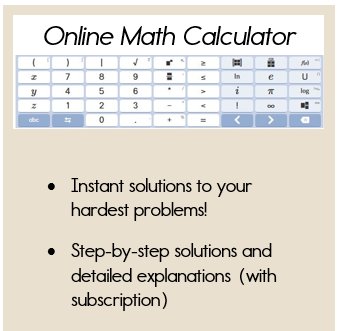 If you are working on your homework and need help checking your answers, you can input your problem into this calculator to check your answer!